As one of Dundee's longest established landscaping companies, you know your project is in safe hands with The Garden Landscape Company. 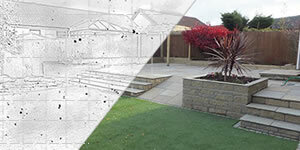 Let us design a garden to suit your exact lifestyle, requirements and budget. 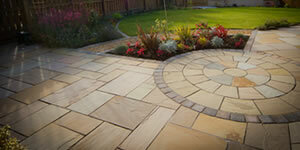 Built and installed to the highest standard, your garden project is in safe hands with The Garden Landscape Company. 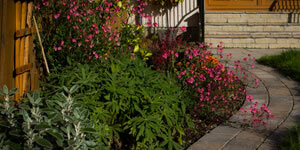 We provide affordable maintenance plans to ensure your garden is always in excellent condition. Our team of landscapers have established a reputation for quality and excellence. For the private customer, we offer a landscaping service that allows your out door living space to be designed around your life style. We design and install all types and sizes of gardens from small modern maintenance free gardens, to large family orientated landscapes and all at very competitive prices. Depending on size and location, our free garden design service can help you see what your garden can look like before any work has started. We can design a 3D computer presentation to exactly fit your plot. This will allow you place items, walling, seating or any structures, planters etc.. to suit your exact taste and needs. To arrange a free consultation and quote, please feel free to get in touch today on 01382 814 814, or to browse our previous projects and get design ideas, please feel free to continue to browse our website.